CHI, The Spa at Shangri-La, draws inspiration from the origins of the Shangri-La legend, a place of personal peace, enchantment and well-being. Treatments include a variety of Asian and Thai options using pressure points, Thai senor meridian lines, salts, clay, oils and herbs. Before treatment begins – clean your feet with warm water and scrub your feet. In traditional Chinese philosophy, ch’i or “Qi”is the universal life force that governs wellbeing and personal vitality. For good health to be maintained, it is believed that ch’i must flow freely within the body and, when blocked, “dis-ease” and illness follow. Movement is therefore a key element in releasing blockages. Body massage, exercise, stretching, hydrotherapy, and movement of the mind through relaxation and meditation combine to assist the body’s natural renewal and form the basis of the CHI spa philosophy. CHI’s expert therapists will begin “Her Day” treatment with full body exfoliation, followed by a relaxing massage in a spacious “spa-within-a-spa” treatment suite. This treatment helps soothe tension and rejuvenate the entire body and soul. The therapist will use the brush to brush up your skin, before using the jasmine scrub your body. Body brushing or dry skin brushing is more or less as you would expect: a thorough and firm brushing of the skin all over your body, prior to a body scrub and treatment. Your therapist will use a clean brush with firm natural bristles and brush you with sweeping, sometimes circular, motions in the direction of your heart. Tips: What is body brushing good for? Different forms of skin brushing have been practised for thousands of years, in many different cultures. There is evidence to suggest ancient Egyptians, enlightened as they were in matters of skincare and beauty, were big fans of brushing and exfoliation too. Body brushing utilises the undeniable power of touch to invigorate your senses and boost your circulation. 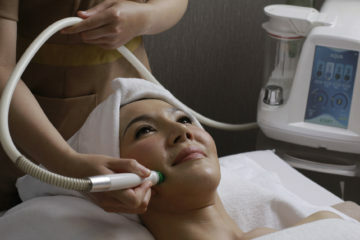 It has an exfoliating effect, helping you to shed dead skin cells and leaving your skin looking smoother and brighter. It may also help to relieve ingrown hair follicles. 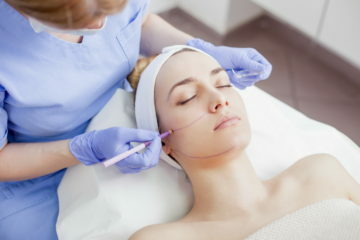 It also could help your body to eliminate toxins – perhaps following the same principles as lymphatic drainage massage. Some say it reduces the appearance of cellulite, if only temporarily. Lots of great products that you can buy for your home spa, or for gift to your friends, or family members. For more information or for treatment appointments, call CHI on (66 2) 236 7777 extension 6072 or send an email to: chi.bangkok@shangri-la.com. Swim With An Olympian, Explore The City By Kayak Or Meditate With A monk? What Do Wellness Travellers Want?